Come to this free event sponsored by US Rowing and Concept 2! Rowing clubs all over the United States open their doors to give you a taste of rowing on the water and on rowing machines. 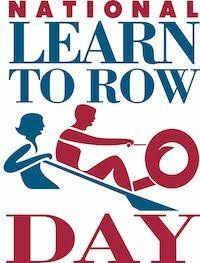 Competitive and recreational rowers range from 12 to over 90, so it is never too early or too late to learn to row. Mendota Rowing Club and Camp Randall Rowing Club are cooperating to put on this years' event. At National Learn to Row Day you can visit the historic Bernard's Boathouse, learn the basic rowing stroke on indoor rowing equipment (erg), and go out on the lake for a short row in an 8-person shell (conditions permitting). All ages are welcome although children younger than 12 will not be permitted to row in a boat. On-land children's activities will be provided for younger children. If space is available a child younger than 12 may have the opportunity to ride in the coaching launch while their family member learns to pull an oar in a boat. Please bring your child's own US coast guard approved life jacket if you would like to be considered for this opportunity. If you'd like to row in a boat, reserve your seat and arrive 10 minutes prior to the time indicated to check in. Plan to spend an hour with us as we introduce you to our fabulous sport. For more information contact learntorow@mendotarowingclub.com. We only have 80 seats available, so register early! Registration for the event will open on April 14.